My first backpacking trip when I was just out of high school was fraught with first-timer mistakes. We camped right next to the only spring, and it was dry in summer. Critters kept us awake all night as they arrived for water. We carried heavy canned food. We took a “shortcut” which ended up being time consuming and difficult, the terrain a steep hillside full of enormous boulders we had to navigate. We had a great adventure, got out safely, and I learned a lot from those mistakes. The key factor in wilderness survival is to be equipped with the appropriate knowledge and tools for the environment you’re traveling in. You can learn from others’ mistakes so that you don’t have to suffer them yourself. 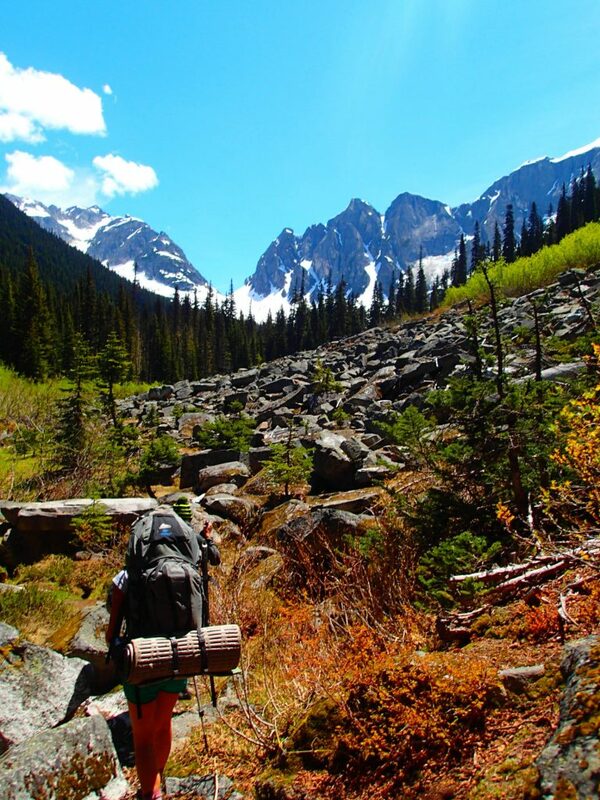 How can I be well-prepared for my time in the backcountry? Consider the “what ifs” of your particular adventure. Wildlife encounters, changes in weather or travel conditions, glitches in technology, an injury, unexpected weather on the trail—these are all situations to think about before you venture out. It’s important to learn the hazards in the area you want to explore. If you’re going hiking in the desert, what are the wildlife hazards (things that can sting and bite), and the environmental hazards (high and low temperatures, access to water)? What is the range of weather that you could experience? Flash flooding? Snow? Intense heat? Learn some basic wilderness first aid. Be prepared by knowing how to handle injuries and accidents that may come up in your expedition area. Know what the most common injuries are for your type of expedition. Be familiar with cold-weather issues like frostbite and hypothermia if you are traveling in a cold environment. If you’ll be active in hot weather, know how to treat heat exhaustion and heat stroke. Tip: Three of the most common injuries in the outdoors are cuts, burns and turned ankles. Learn how to treat them, and also how to prevent them. Being in the wilderness makes any injury more serious. What should I carry? The 10 essentials . . . If you’re going out on a long day hike and/or into unfamiliar territory, these are the 10 essentials to have with you. Along with basic knowledge, you should be prepared to survive most unexpected circumstances. Before you go, write down your expedition plan so that someone knows where you are and when to expect you back. Let them know what to do if you don’t return, and when to worry and take action. 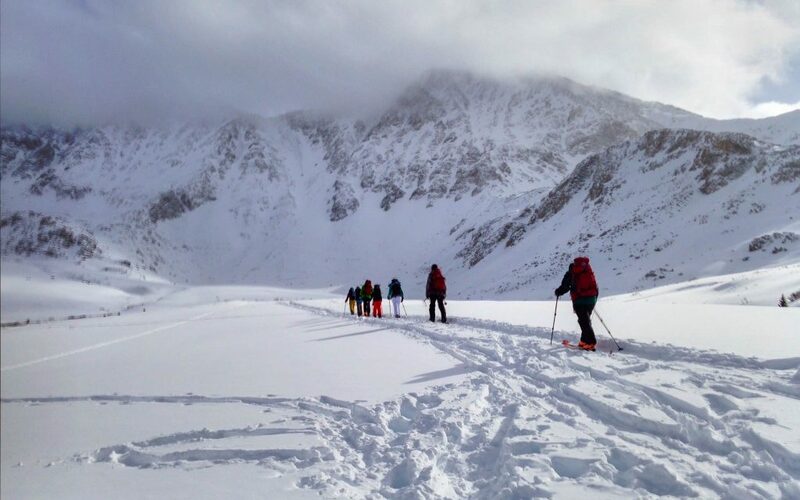 Wherever you go in the backcountry, have a general sense of where you’re headed and the terrain you’ll be traveling in. Will you be in the same general river valley the whole trip? Will you be traveling generally south the whole time? Will you be crossing over mountain passes? Have a map, know how to use it, and be familiar with the area you are in. Pay attention to where you are—especially major features like passes, creeks, rivers. If you do get lost, don’t panic. Stop and take stock of what you know: where are you generally? Where is the nearest road or other useful resource? Can you follow a creek or river (a concrete feature) toward civilization? 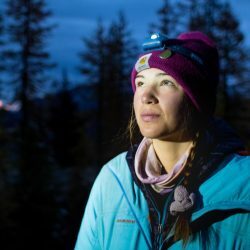 What resources do you have—food, water, layers for cold, headlamp? Think through the situation and make a plan based on what you know. Navigation is a skill that is best learned by doing it with someone who has experience. They can offer tips and guidelines on finding your way in a particular terrain. 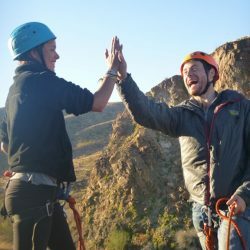 Desert and canyon travel require different navigation skills from mountaineering, deep forest or lake travel by canoe. 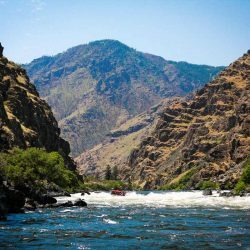 If you’re rafting a river, you need to know where you are, have a plan for major rapids and know how to find your campsite. If you’re sailing, you’re tracking the shoreline. On land, you master the fundamentals of map and compass to find water, locate a good campsite, or get to the base of a peak you’ll climb. How can I make an emergency shelter if I’m caught out unexpectedly? Be creative! Depending on the environment you’re in, you may be able to create a shelter. For example, in a forest, you can lay a line of sturdy sticks against a large fallen log, and then cover those with leaves. Add sticks on top to hold down the leaves, and then line the inside with leaves to insulate yourself from the ground. If you are snow camping, there are many shelters you can build with snow, from digging into a snowbank, to an igloo of consolidated snow blocks. Caves can also provide shelter . . . . just pay attention to who you might be sharing it with. How do I find water? Since there’s no faucet to turn on in the wilderness, water is a key factor in travel. You’ll need to plan ahead to have enough for travel and for camp. Be sure you have a good way to purify water. In this era, we have to assume that nasties like giardia and cryptosporidium are floating around in streams and lakes. Always purify, and have a back up means to purify, in case one source fails. 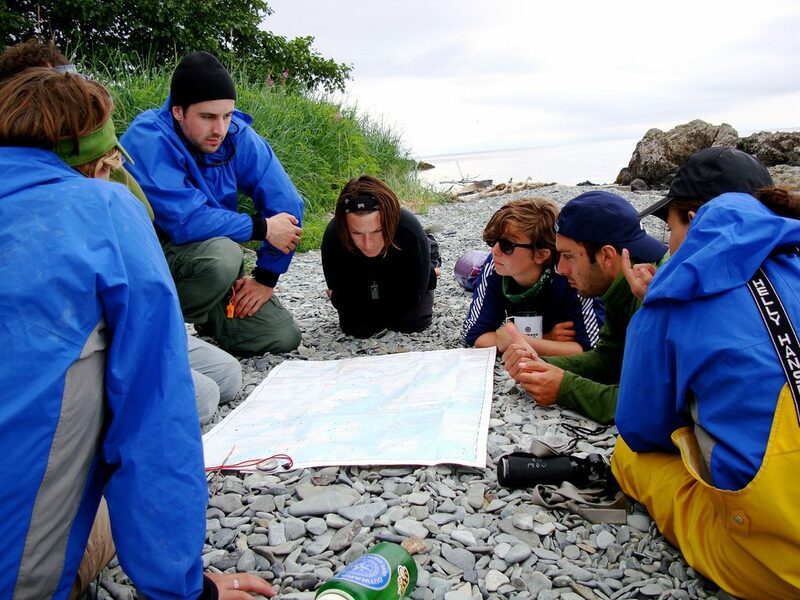 Consider learning the fundamentals of wilderness travel and survival on an Outward Bound expedition. You’ll be under the guidance of some pros who will help you be ready for your first trip on our own. You’ll gain the confidence and knowledge to survive and thrive on your own adventure. You’ll learn how to navigate mountainous terrain while backpacking or sailing along the coast. You’ll get hands-on experience preparing for your expedition, setting up shelter, cooking, learning the ethics of Leave No Trace. You’ll learn to enjoy living in the wilderness, and “roughing it” on your adventure. Instructors are well-trained with Wilderness First Responder certifications or higher, and they teach the fundamentals of self-care, accident prevention and basic first aid. Remember, the wilderness is good at offering up surprises! Expect the unexpected. 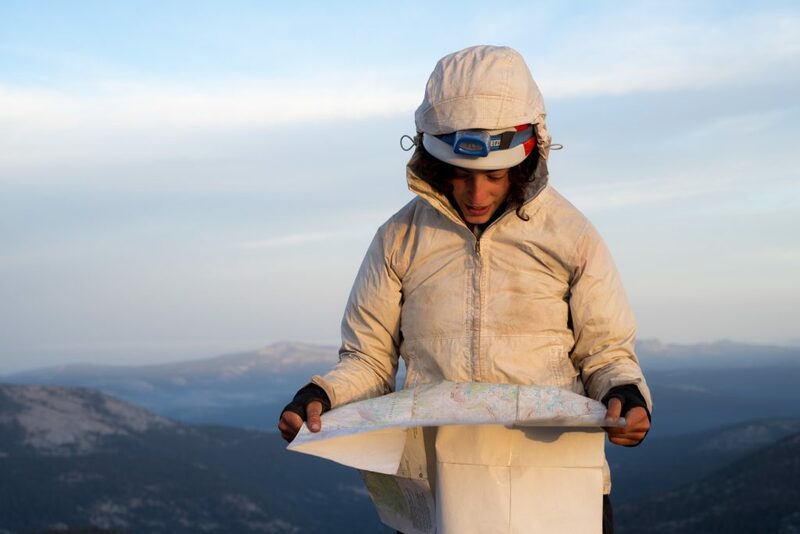 CJ Wilson’s career in outdoor education has taken her from Maine to Minnesota, and from the Sierra Nevada to Patagonia. 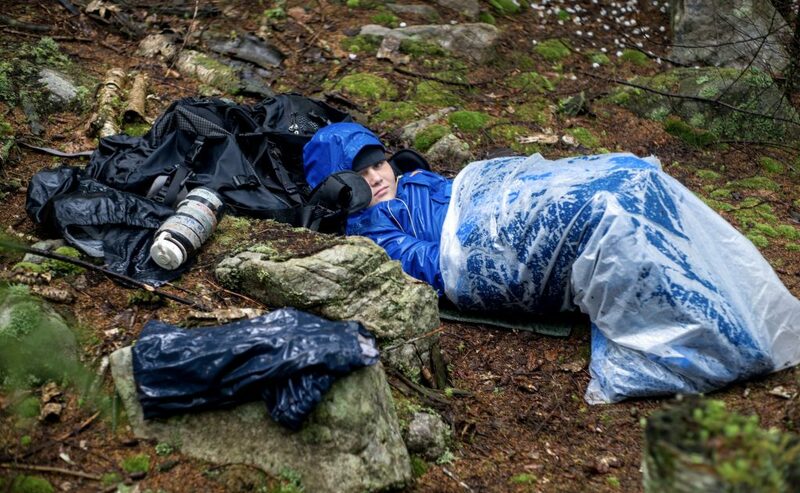 A long-time Outward Bound Instructor, she writes from her base camp in Asheville NC. When not writing, she might be found working as a ranger in a national park, bicycle touring or hiking her favorite trails near home.